The amazing Dr. Cao and the team over at South Slope Pediatrics have organized a team of racers for the 17th Annual Cinco De Mayo 5K Run, held in Prospect Park, to raise funds for, JJB. There will be an Adult 5k for runners and walkers, followed by a children’s run. Held in the beautiful Prospect Park, it will be fun for the whole family. If you would like to donate, or be part of the team, please go to their crowdrise page. Register to run or walk with, Team South Slope Pediatrics by April 4th, and you will receive a free team t-shirt! 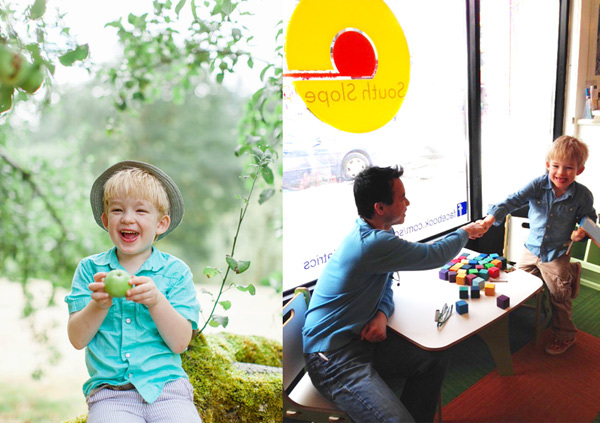 “At Jonah’s first-year, well, visit, we saw a new pediatrician for the first time. Dr. Cao, was an engaging, thoughtful, young doctor; Jeremy, Jonah and I immediately connected. Dr. Cao noted that Jonah’s head circumference was off the charts. “Probably no big deal…but you should have it checked out”. We followed out doctor’s advice and took Jonah to get an MRI. A few weeks later we were told that Jonah’s big head was caused by a bone deformity consistent with a group of syndromes known as, Mucopolysacharidosis. Neurologist Dr. Schubert, and Geneticist Dr. David, of New York Methodist, were the specialists that brought us the final diagnosis-Sanfilippo Syndrome Type C a.k.a. MPS3C. That was almost four years ago, since then Jeremy and I have created the non-profit Jonah’s Just Begun-Foundation to Cure Sanfilippo. Because of Dr. Cao’s astute observation, we were given the chance to fight Jonah’s fate. If it were not for Jonah’s early diagnosis, we would still be clueless as to what was going on with him. Jonah is the youngest known MPS3C child to have been diagnosed, asymptomatic. Because of the early diagnosis, we were able to address the immediate symptoms of the disease. Chronic sinus infections cause hearing loss, leading to speech delays. Jonah had ear tubes placed in his ears, and we were awarded early intervention. These early preventative measures are why Jonah is doing as well as he is. That is all thanks to Dr. Cao, Thank you, Dr. Cao! Register to run or walk with us on Sunday, May 4th (there is even a children’s race)! When registering for the walk or run, make sure to register as a team member and select team South Slope Pediatrics from the drop-down menu.Register by April 4th and you will receive a free South Slope Pediatrics/Jonah’s Just Begun t-shirt! You can register 1 person at a time. Life-saving treatments are just around the corner for Jonah and other children with Sanfilippo. We need to raise awareness and funds. Please help us reach our fundraising goal!!! Share this link with all of your friends, help spread the word & do something really amazing!!! Dr. Cao has donated the first $1,000.00, he will donate the next one when the $5,000.00 mark is reached, help us get there. Don’t forget to spread the word around: Tell your friends about the race & the fundraiser. Help them achieve their goal of $10,000! You can have them donate directly to our Crowdrise fundraising page, or of those who would rather write a check, you can download this donation sheet. All checks can be made out to Jonah’s Just Begun.